This shaded campsite is the closest to the restroom and picnic pavilion. A nice site slightly to the drive way into the site, than the restrooms. Second closest site to the picnic pavilion on restrooms. Third closest site to picnic pavilion and restrooms. 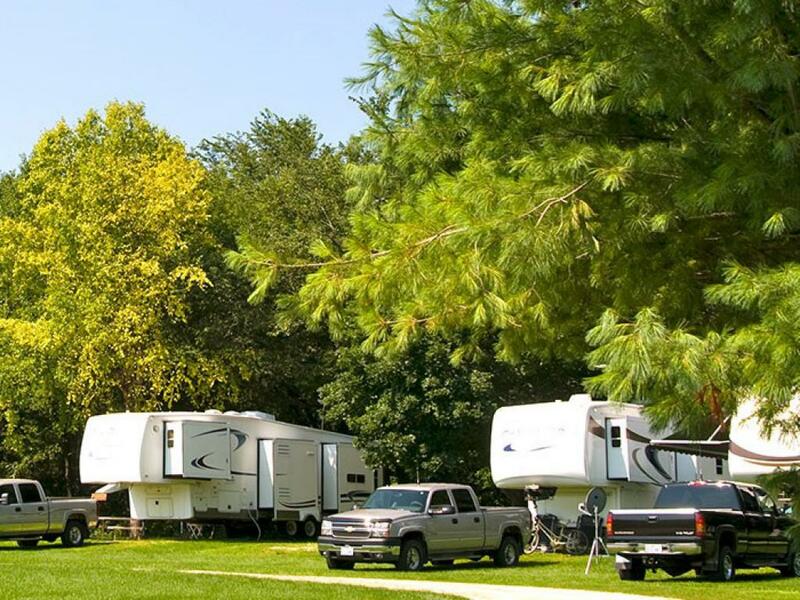 This combined campsite is our largest site available. 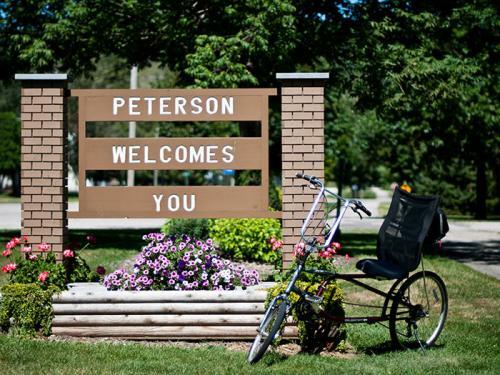 Perfect for larger groups, a larger sized RV or a group with an RV and tent. 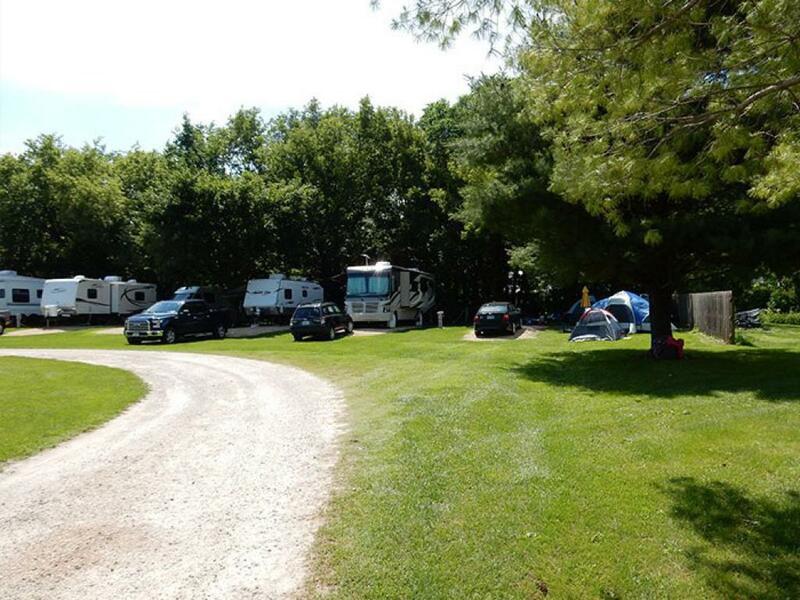 A nice site in about the middle of the campground. A nice site slightly closer to the drive way into the site, than the restrooms. 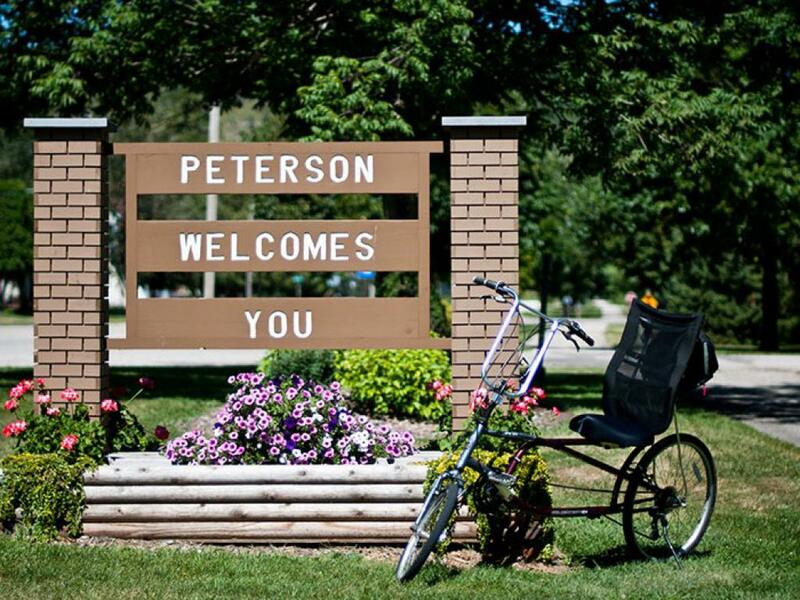 Looking for a great place for a family gathering? 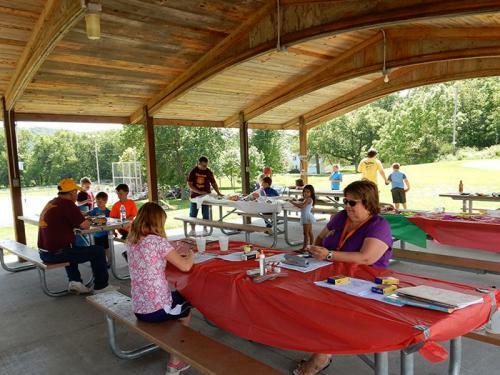 Our tidy pavilion has 7 large picnic tables under shelter with clean restrooms. 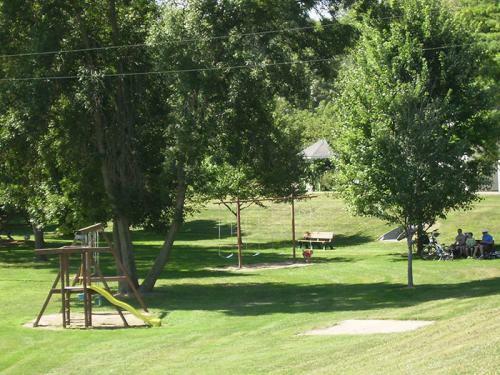 Adjacent to city softball field (separate reservations), playground and bike trail. Short walk to the river. 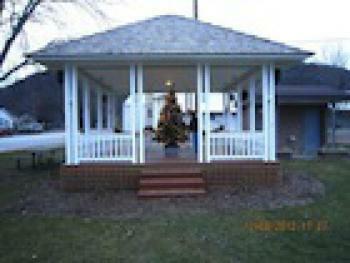 Rent our restored 1907 bandstand, complete with outlets and speakers, for your smaller wedding, celebration or gathering. 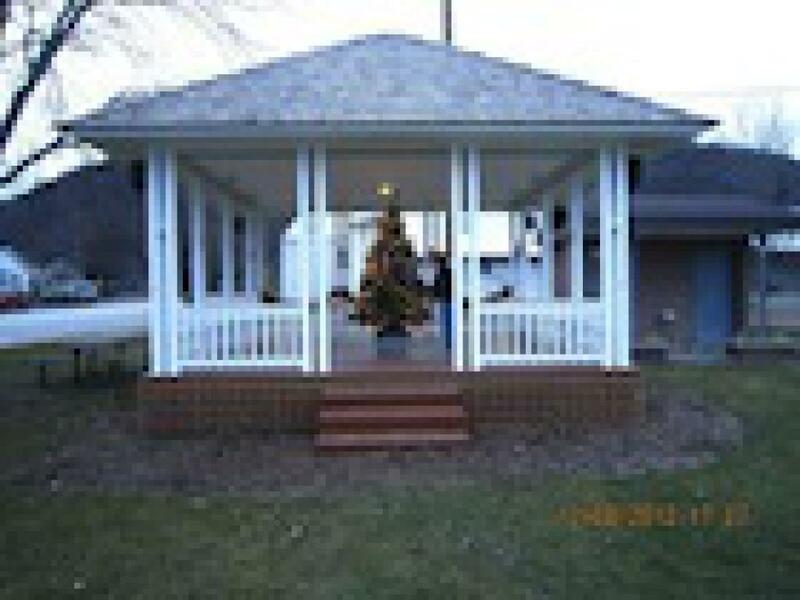 Area includes 2 picnic tables and 2 benches. Additional tables and benches may be available upon request. 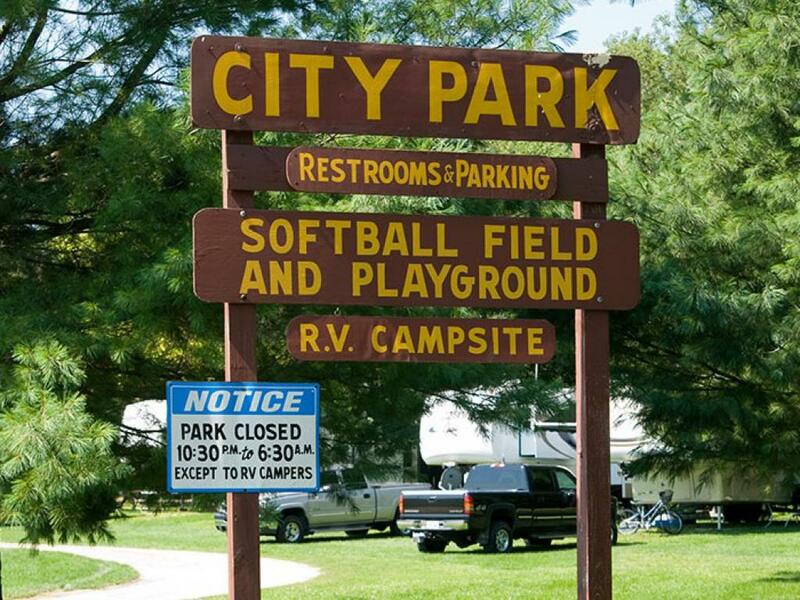 Closes at 10:30 p.m.
Our City ball field is nicely located next to our campground and city playground. Softball leagues and groups can reserve the field for a small fee. Concession stand available upon request by calling 507-875-2655. Free for camper use when available. 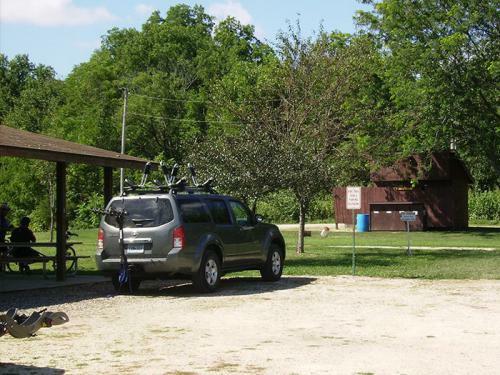 Located on the Root River State Bike Trail, our campground is just a short walk to the Root River for canoeing, fishing and tubing. Sites have water, electricity, sewer, picnic tables and fire rings.